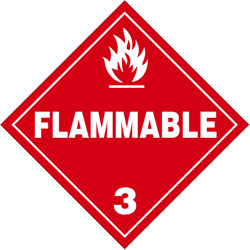 Shipping dangerous goods has never been so EZ! EZ-Ship Softwares Inc. is proud to announce it's integration with the new FedEx® DG Ready service, making shipping dangerous goods and hazardous materials with FedEx easier than ever! 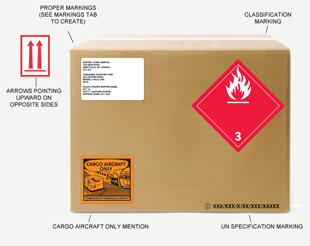 With our incredible Visual Shipping Guide, you will be able to instantly know which markings need to be added to each package and overpack, eliminating costly mistakes. 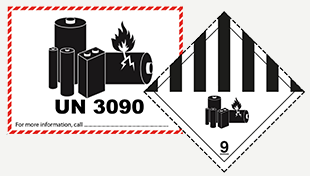 Shipping lithium batteries is made easy with our lithium battery shipping guide, included with our visual shipping guide. Simply answer a few questions and we'll tell you the right packaging, the required documents and the correct labels and marks required for your package. Calculating the right placards was a very time consuming process... that is before EZ-Ship Softwares came along! Once you've entered all the packages, overpacks, items and weights, our system will automatically calculate the required placards for the entire shipment. Everything is done in real-time and 100% compliant with all of North America's regulations (49 CFR, TDG), meaning that even if you cross the border, you're compliant. The required placards are even indicated on the shipping documents, along with our HSI QR Code. Should a driver using our EZ-Placard software pick up your shipment, he can scan the entire package and add it to his virtual truck in seconds. We offer the billing flexibility you are looking for! You can either subscribe to EZ-Ship with a yearly subscription under a software as a service (SAAS) model, or register as a pay per use user, which will allow you to pay a small amount for each shipment using your credit card. Click to register for pay-per-use. 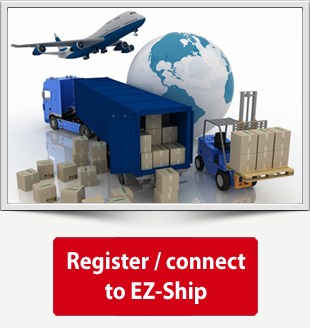 Contact us today and see how far our EZ-Ship software can take you!